Tom and Helen Subitich M.D. Both Don Weis and Gene Mason were in the military in 1954, when they were sent to Tacoma General Hospital for a “short course” in anesthesia. This move led to their residencies and longtime association. In 1958, the two young anesthesiologists, Donald Weis and Gene Mason, fresh out of training in John Bonica’s program in Tacoma, came up to Everett. They started the anesthesia group that would later be known as Medical ANesthesia Associates (or MAA). Everett had had a somewhat checkered past pertaining to anesthesia. An ex-navy corpsman had posed as an anesthesiologist but was found “sharing” his patients drug’s. One anesthesiologist failed and eventually ended up in Northern State Hospital and later commited suicide. Needless to say, Don and Gene had to prove their abilities to the surgical community. This they were able to do quite well and they began to add new members to the practice. The first addition to the group was Graham Ritchie, a Scot by way of Canada. He was an excellent anesthesiologist but could not stay because you had to be a member of the Snohomish County Medical Society to have hospital privileges and the Medical Society required US citizenship. This was all done to keep out one undesirable physician, who apparently could never become a citizen. In 1961 Charles Guildner joined the group and was followed by Thomas Subitch in 1962. Chuck and Tom trained together at the University of Wisconsin Hospitals. They were well trained in regional anesthesia techniques, which fit well with Don and Gene’s practice. Next to join the group was Ronald Meagher. 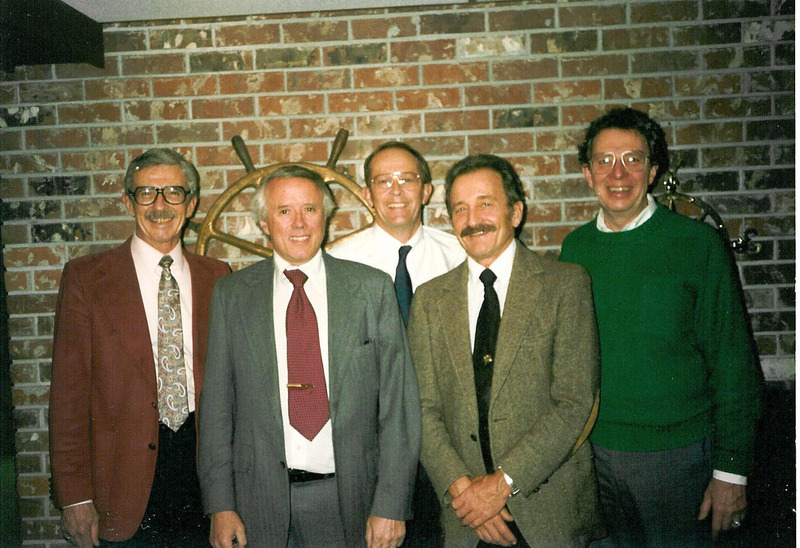 Ron had just finished a regional anesthesia fellowship at Virginia Mason Hospital, which was run by Daniel Moore, the author of several books on regional anesthesia. As the demand for the MAA services grew, the local hospitals decided to no longer employ nurse anesthetists. Because many of the older GP surgeons had a good relationship with these nurse anesthetists, MAA decided to hire one anesthetist at each hospital. This practice continued for many years, as long as MAA was in existence. Some of the local surgeons would occasionally go to the Arlington or Monroe Hospitals to operate and they requested MAA to provide anesthesia services at these sites. MAA even provided anesthesia at the Monroe Reformatory, where inmates were the scrub techs. Dr. Mason had all the money taken from his wallet, while he was in the operating room. Without thinking he muttered before catching himself: “These guys belong in jail……..”. becoming known as the “farm team” for Overlake and Evergreen Hospitals. Pyllis Bagdi was the next new member but she to migrated to Evergreen Hospital. Phyllis was followed in 1979 by Maxine Reid, another Virginia Mason graduate, stayed with the group for a long time. In 1980 the anesthesia and surgical groups were growing. Richard Galuska, trained at the University of Washington became a welcome new partner. Len Schenck, the first of the “Swedish Connection” arrived next. He was instrumental in starting the cardiac anesthesia service but soon thereafter left to Overlake Hospital. Doctors Jim Halcomb and Rick Wear soon arrived – more partners from the Virginia Mason. About this time some of the surgeons decided to open an office in Monroe and requested MAA at Valley General Hospital. These surgeons then closed their Monroe office but MAA stayed in Monroe. When Dr. Halcomb decided to leave the group and go to Overlake Hospital, MAA found it necessary to withdraw from the Monore facillity. Dr. Bryan Hymen, who had joined MAA after doctors Halcomb and Wear, left the group to work at Monroe. Dr. Jim Larson joined MAA direct from his residencey at the University of Massachusettes. He immediately became an active participant of the cardiac anesthesia team and eventually joined the Everett Clinic anesthesia group. Dr. Bengt Widland arrived from the University of PIttsburg during this time. He was the second of the “Swedish Connection” . Dr. Widland had trained in intensive care and was an excellent addition to the expanding group. Dr. John Tonetti came to MAA as a locum tenens and then stayed on for many years. He eventually returned to New York State. Dr Bob Van Valkenburg came form Northwest Hospital and was followed shortly by doctors Ralph Olsoy, RIchard Okamura, Eric Smith and Mitch Solomon. Doctors Okamura and Smith eventually left for Overlake Hospital, Dr. Olsoy to Evergreen Hospital and Dr. Solomon retuned to California. They were all excellent anesthesiologist but again the lure of practices with a case mix of less medicare and DSHS was difficult to resist. Doctor Julie Seaveallo, Derrick Walczak, Carol Czop and Milan Stefanec were the next to join MAA. Dr. Stefanec left to do locum tenans work. 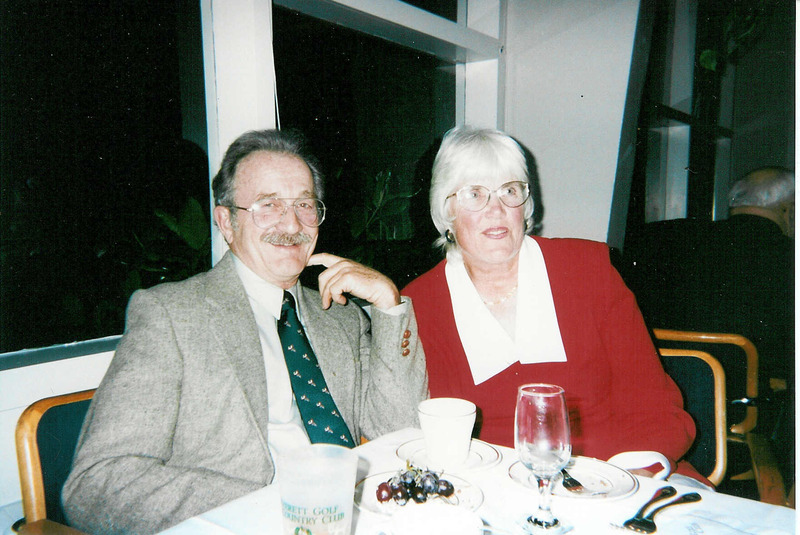 Dr. Guildner was the guiding force in the development of the local EMT program and served for many years as an adviser to the American Hear Association CPR program. He was also a driving force in the local sailing community. And in his retirement has become a nationally known for his western photography. Doctors Subitch, Okamura, Tonetti, Czop and Walczak all did interventional pain work for a number of years. Dr. Weis was the first of the group to retire. Dr. Subitch and VanValkenburg have retired but continue to do locum tenens work. Dr. Mason, an avid moutaineer, is the only member of MAA no longer living. He was the author of several books. On the first of August 1995 MAA became an official division of Western Washington Medical Group and the MAA designation ceased to exist.